One-child policy has been officially put to rest last year after it was implemented 30 years ago, but the legacy of this policy will linger for a long time. A recent news story has gripped the nation. A couple in Shenzhen, Guangdong Province has been heartbroken over their only daughter's decision to marry and live in the US after she stayed there for 10 years. This means it is highly likely that the couple will have to support themselves in their senior years. What makes the case more controversial is the couple sold their apartment to support their daughter's education in the US, which has led them to financial difficulties. The bone of the contention here is whether the daughter has the obligation to take care of her aging parents. Opinion is evenly split in the cyber world as one side supports the view that the daughter has the freedom to pursue her own life while the other side thinks she has failed to be a filial daughter. The one-child policy has exerted great impacts on entire society. Some changes are apparent, such as the overall improvement in living standards. But accompanied with a drastic decrease in the labor force, some transformations are not that apparent, like the change in family relationship. The only child became the focus of every family member, which could be harmful. A close parent-child bond is not exclusive to Chinese culture. In other cultures, obligations of parents and offsprings are also emphasized. But in China's one-child generation, such obligations could become a psychological burden on both sides, particularly the child. Only child's parents tend to undertake huge amount of pressure and consequently set a rather high standard for their child. Based on traditional Chinese values, parents are willing to give up their happiness for the kids, and the one-child policy exacerbates this imbalance. "How does it feel to be the only child?" is a question asked on Zhihu, an online social community; and the most popular answer is "Dare not die, dare not marry someone far from home, eager to earn money, because they only have me." Admittedly, the strong family bond is touching, but is it necessary? Almost every parent wants their child to be happy. What if she had a chance to get higher education in a distant place? What if his dream job doesn't come with a high salary? A healthy family relationship should not be a barrier to happiness but a succor. All these unnecessary pressure is caused by over-concern. To relieve the burden on both parents and the child, perhaps the parents should pay less attention to their child but pay more attention to themselves. Once parents can fulfill their own goals in life without sacrificing too much for their child, the child can, in turn, live in a better environment and therefore, likely to embrace a better life. Furthermore, the lifestyle of parents largely affects that of the child. Only when parents can lead a good life and be a good role model, can their child grow up in a healthy atmosphere. 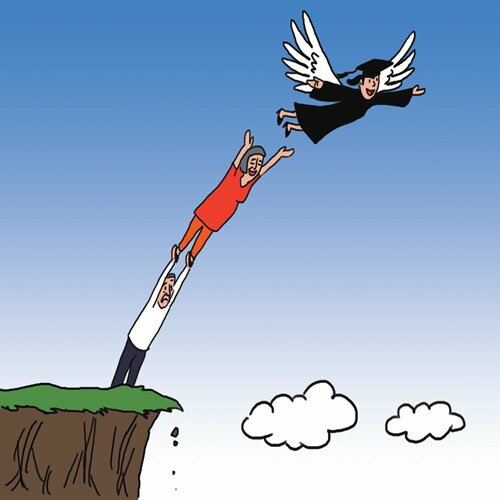 Clash between filial piety and the pursuit of personal freedom has led to heated discussions among the one-child policy generation. Hopefully, the story of the couple in Shenzhen won't be repeated in the future.